1729 is refered as Hardy - Ramanujan number. There is an interesting story behind this. The history and pecularity of the number is described here. Various keyboard shortcuts that makes using your device easier. 6. INTERNET IS NOT GREEN...!! The lightest material on this earth developed. An effective method to be adopted in Mangolia to beat the global warming effects. 10.WHY DECEMBER 1 IS CELEBRATED AS WORLD AIDS DAY? 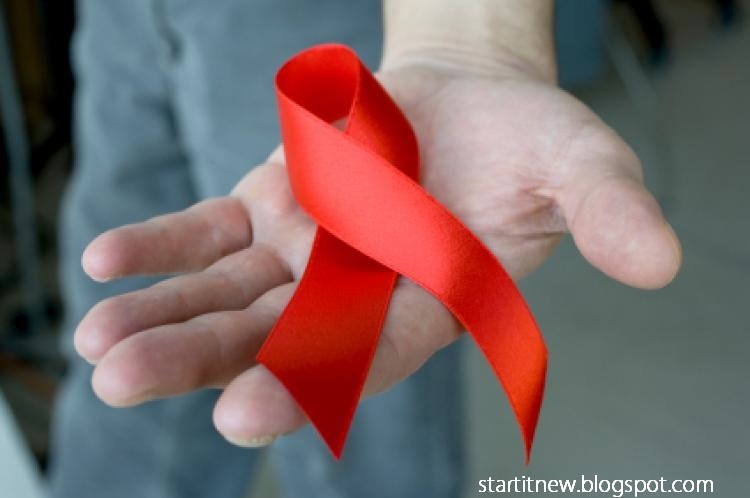 Why december 1 is celebrated as World Aids Day? World AIDS Day was first conceived in August 1987 by James W. Bunn and Thomas Netter, two public information officers for the Global Programme on AIDS at the World Health Organization in Geneva, Switzerland. Bunn and Netter took their idea to Dr. Jonathan Mann, Director of the Global Programme on AIDS (now known as UNAIDS). Dr. Mann liked the concept, approved it, and agreed with the recommendation that the first observance of World AIDS Day should be 1 December, 1988. Bunn, a broadcast journalist on a leave-of-absence from his reporting duties at K PIX-TV in San Francisco, recommended the date of 1 December believing it would maximize coverage by western news media. Since 1988 was an election year in the U.S., Bunn suggested that media outlets would be weary of their post-election coverage and eager to find a fresh story to cover. Bunn and Netter determined that 1 December was long enough after the election and soon enough before the Christmas holidays that it was, in effect, a dead spot in the news calendar and thus perfect timing for World AIDS Day. In its first two years, the theme of World AIDS Day focused on children and young people. These themes were strongly criticized at the time for ignoring the fact that people of all ages may become infected with HIV and suffer from AIDS. But the themes drew attention to the HIV/AIDS epidemic, helped alleviate some of the stigma surrounding the disease, and helped boost recognition of the problem as a family disease.In 2004, the World AIDS Campaign became an independent organization. Each year, Popes John Paul II and Benedict XVI have released a greeting message for patients and doctors on World AIDS Day. Mangolia is launching one of the world’s biggest ice making experiments, an attempt to compact the adverse effects of global warming and the urban heat experiment. The tribal, funded by the Ulan Bator (Mangolean capital) government aims to store the freezing winter temperatures in a gaint block of ice that will help to cool and provide water to the city as the block slowly melts during summer. The scientists behind the 1 billion geo- engineering project hope the process will reduce the energy demand from air conditioners and regulate drinking water and irrigation supplies. The project aims to artificially creat naleds (Russian term for the ultra thick slab of ice that occur naturally in far northern climate when rivers or springs push through cracks in the ground to seep outwards during the day and then add an extra layer of ice during the night). Unlike regular ice formation in lakes, which only is about 1 meter maximum and it act as a insulator to the water below, naleds continue expanding for as long as there is enough water pressure to penetrate the surface. Many are more than 7 meter thick ie, it takes more time to melt. The quality and technology of naleds is known for hundreds of years. The North Korean military used them to build river crossings for tanks during the winter and Russians used them for drilling platforms. Can be used to beat heat during summer. A team of researchers from the University of California Irvine (UCI, Irvine, Calif., USA), HRL Laboratories (Malibu, Calif., USA) and the California Institute of Technology (Pasadena, Calif., USA) developed the world’s lightest material – with a density of 0.9 mg/cc – about one hundred times lighter than expanded polystyrene and lighter than Styrofoam, aerogels, and even carbon nanotubes, which makes carbon nanotubes seem heavyset at 1.3-mg/cc. The new material features a “micro-lattice” cellular architecture. The researchers were able to make a material that consists of 99.99 percent air by designing the 0.01 percent solid at the nanometer, micron and millimeter scales. The trick is to fabricate a lattice of interconnected hollow tubes with a wall thickness 1,000 times thinner than human hair. The material’s architecture allows unprecedented mechanical behavior for a metal, including complete recovery from compression exceeding 50 percent strain and extraordinarily high energy absorption, ie If you were to squash the material more than halfway it would just rebound back into its original shape..!! Now you are surfing the internet; facebooking, twittering, blogging, sending mails etc. You will be happy that you are not harming the environment; no paper, no cutting trees, no emission..? But it is not the fact. Strictly speaking internet is not green..!! When you send an email of 4.7 MB size, you are creating as much as green house gas as boiling a tea-kettle 17.5 times. That is an email of even 1MB size would be equal to emission of 19 grams of carbon dioxide (CO2). If that mail is copied to 10 people, its impact is 73 grams of CO2. Suppose in a 100 people company where each employee sends an average of 33 emails a day and receives 58, the greenhouse gas emission linked to emails would be around 13.6 tons of CO2 per year. If each of these 100 employee sent 10 % less emails per year, they would save CO2 emissions equivalent to one round trip flight between Paris and New York! The current amount of data storage across globe is around 1.2 zettabytes (one ZB is 10 raised to 21 MB). This requires equipment with a mass equivalent of 20% of island of Manhattan, New York City! Or an equivalent of all the US’ acedemic libraries multiplied by half a million. This data storage is expected to grow by 35 ZB by 2020. 30 percent of the input power is used in powering the chips, 30 percent of the energy entering a microprocessor is turned to heat, and that 123 billion kilowatt hour per year is how much electricity it takes just to keep the internet’s servers running. It is estimated that facebook users uploads over 1000 photos per second ie, 3 million photos per month. Think how much green house gas is released per month. What all we can do...? · Free up the memory space in your computer. · Clean up the email box periodically. · Limit the number of receipients of each email. · Reduce the size of attachments. · Enter the url address directly rather than using search engines like google and yahoo. · Don’t leave your computer and accessories on overnight, not even on sleep mode, even though it don’t take much power. · Laptops use 15-60 watts comparted to pc that consumes around 250 watts. · Cut down power by doing more offline work than online. · Facebooking and twittering release a lot of CO2. Talk more, Twitter less.